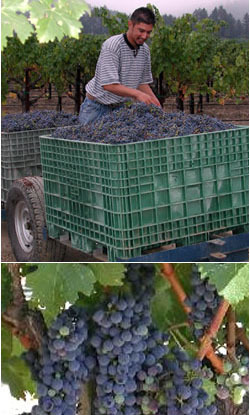 Bressler Vineyards is a 5 acre vineyard adjacent to the well-respected Hayne Vineyard made famous by the Turley Zinfandel (part of which is now the Beckstoffer Bourne Vineyard), and across the street from the highly regarded Beckstoffer Crane Vineyard. Bressler Vineyards began in January 1999, when Bob and Stacey Bressler purchased their home with an acre of premium vineyard property on the Napa Valley floor on the west side of St. Helena. Working with David Abreu, Vineyard Manager/Magician andWinemaker-extraordinaire Mia Klein, the Bresslers embarked upon their adventure. In early 2000, they acquired the mature Cabernet Sauvignon vineyard (planted in 1986) adjacent to their property. This vineyard is a classic Napa Valley combination of St George rootstock and Clone 7 Cabernet. This combination attains flavor ripeness around 24 brix, which yields very reasonable alcohol levels. To continue to perfect our craft, our palates, and our friendships.